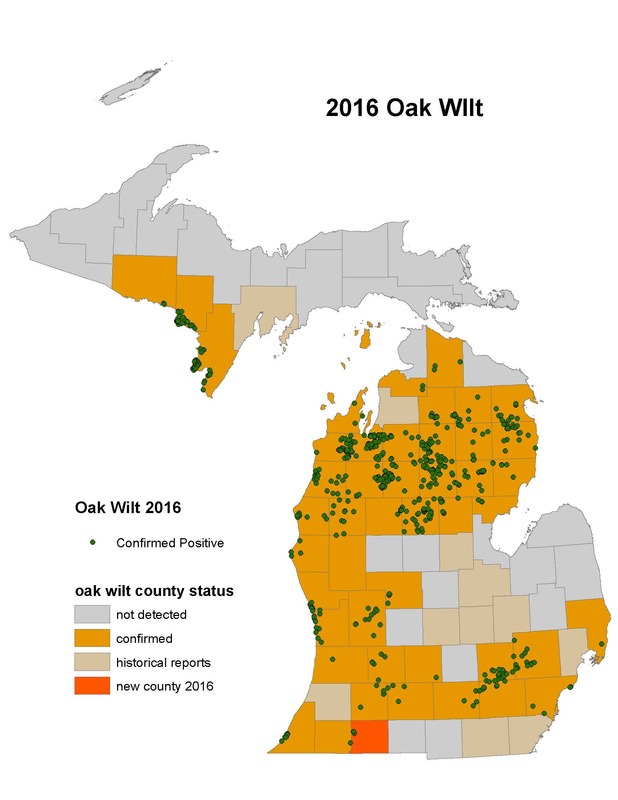 The Oak Wilt Coalition is a new partnership between private, nonprofit and governmental organizations to help increase awareness about the serious threat of oak wilt disease in Michigan. Oak wilt is a fungal disease that is spreading among trees in Michigan and many other states. It has been confirmed in much of the Lower Peninsula and in the western portion of the Upper Peninsula, as shown in this 2016 oak wilt map. This disease is lethal to many oak species, including red oaks, pin oaks and black oaks. It can be transmitted by insects moving to fresh wounds on trees, including those caused by pruning. The fungus also can spread through root systems, causing death of nearby oak trees. “Oak wilt initially causes wilting of leaves, ultimately killing otherwise healthy trees within a matter of weeks,” said DNR forest health specialist Roger Mech. 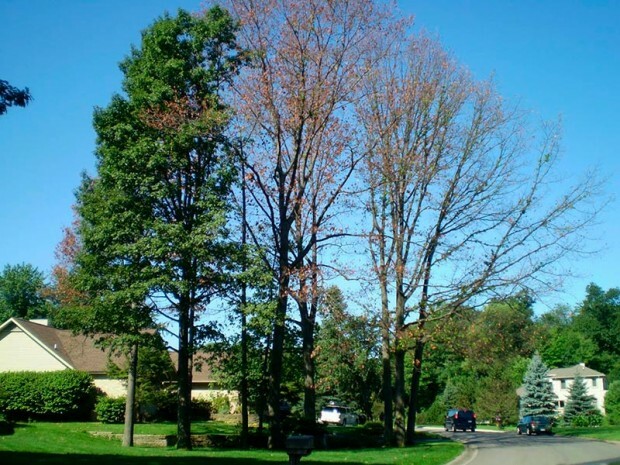 “The effects can be dramatic and costly when mature trees die and are removed, especially in highly maintained landscapes, parks and recreation areas.” Mech said that prevention and management are possible with disease awareness, proper identification and timely response. Led by the Arboriculture Society of Michigan, the partnership also includes representatives from the Michigan Association of Conservation Districts, the Michigan Department of Natural Resources, the Michigan Department of Agriculture and Rural Development, Michigan State University, ReLeaf Michigan, and various electric utility companies and tree-care companies.